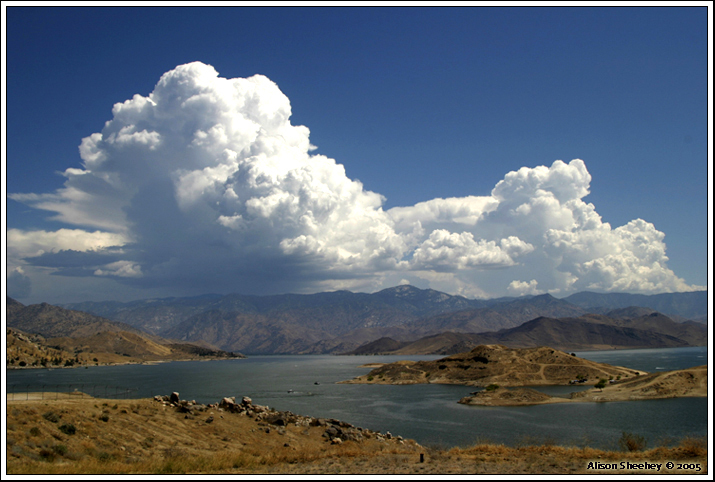 The Kern River Valley is a relatively flat valley located in the southern Sierra Nevada at an elevation of 2300’ to 3500’. There are four major sections of the Kern valley; South Fork, Weldon Valley, North Fork, and Hot Springs Valley with many upslope hamlets surrounding these areas. The South Fork Valley is an alluvial valley ranging from 2600’-3300’ in elevation and is filled with mostly granitic sediment from the eastern edge of the Kern Plateau and the western Scodie Mountains. 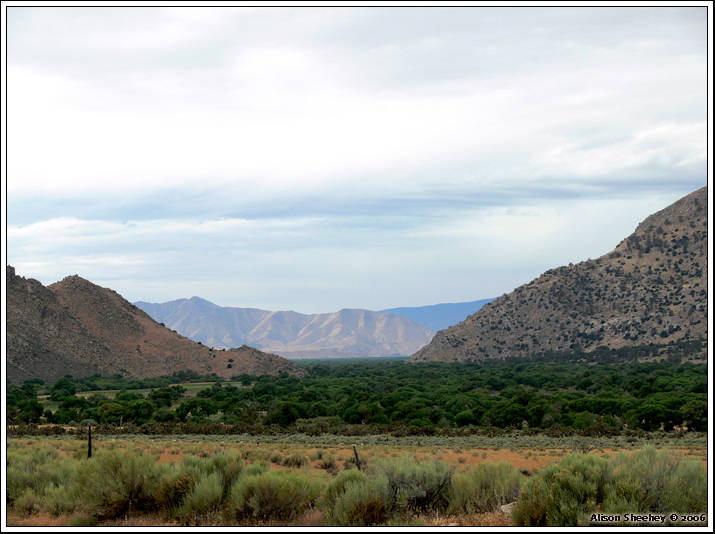 The topography of the Kern River Preserve is gently sloped along the three miles of river channel with relatively steep slopes along its northern mountainous edge. Elevations on the preserve range from 2611’ to 4265’. The South Fork Kern River Valley is located in a watershed at the intersection of three of North America’s ten floristic provinces: 1) Californian Floristic Province, 2) Mojave Subprovince of the Sonoran Desert Floristic Province, 3) Great Basin Desert Floristic Province. This assemblage is unique to all of North America. The South Fork Kern River supports one of the finest and most defensible Great Valley cottonwood-willow forests remaining in California. This forest stand is found on the river from its point of departure from the Sequoia National Forest to it terminus at Isabella Reservoir, a distance of approximately 13.5 river miles. Surrounding the riparian forest, are freshwater marshes, meadows, pasture, cropland and uplands which connect to vast areas of public land managed by the U.S. Forest Service and Bureau of Land Management. The two agencies manage approximately 85% of the 983 square mile watershed, with approximately 60% in designated Wilderness. Furthermore, in the upper watershed, the 72.5 miles of the South Fork Kern River is protected by Wild and Scenic designation. The South Fork Kern River Valley is one of five initial locations designated as a Globally Important Bird Areas by the American Birding Association as well as a California Riparian Habitat Joint Venture Flagship Projects. The South Fork Kern River floodplain supports the largest contiguous Great Valley Cottonwood Riparian Forest remaining in California. There are no permanent dams on the South Fork Kern River along its entire 86 mile length, above and through the project area. The hydrological integrity of the river system is largely intact and potentially defensible. Invasive exotic species such as salt cedar, Russian-olive and giant cane, dominate most southwestern riparian areas. However, these species comprise less than 0.1% of the understory cover on the South Fork Kern. There are 407 acres of freshwater marshes and ponds that support what may be one of California's largest populations of southern Pacific pond turtle, a species of special concern in California. 52 critical elements being tracked by the California Natural Diversity Database are found within the project area. The area supports California's second-largest breeding population of the state endangered Yellow-billed Cuckoo, approximately one-third of the state population. It also supports one of the largest breeding populations of the federally endangered Southwestern Willow Flycatcher, approximately 29 pairs in 1996. This area serves as a core population for this subspecies. The Summer Tanager is listed as a Species of Special Concern. Approximately 30 to 40 pairs nest in the project area, the state's largest population. The Kern Red-winged Blackbird, an endemic subspecies, is found only within the project area. The South Fork Kern River riparian corridor provides summer breeding habitat for over 50 species of neotropical migrants that migrate to California from Central and South America. Five distinct Sierra Nevada mountain regions can be viewed from the Kern River Preserve: Kern Plateau, Scodie Mountains, Piute Mountains, Breckenridge Mountain with the Greenhorn Mountains visible from the western edge of the Preserve.